across the images may result. effect on exposure or color. flicker shoot. ], then press <0>. shooting interval may become irregular. 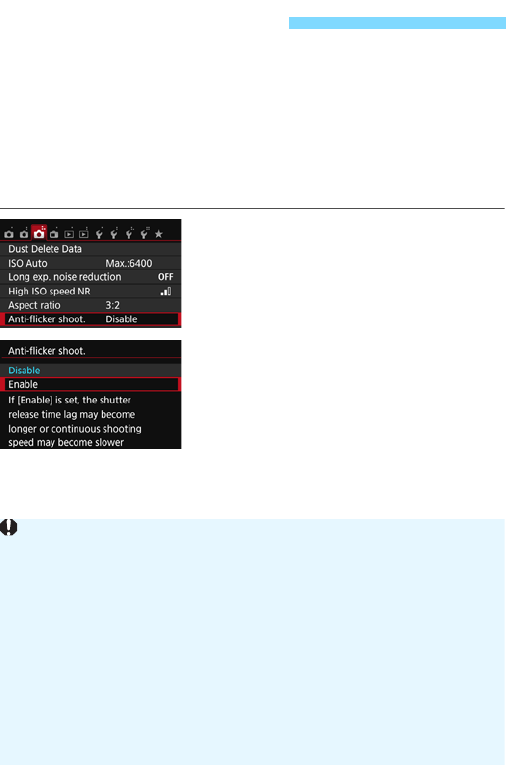  This function does not work with Live View shooting and movie shooting. [Enable] may look different from when [Disable] is set.  Flicker at a frequency other than 100 Hz or 120 Hz cannot be detected.